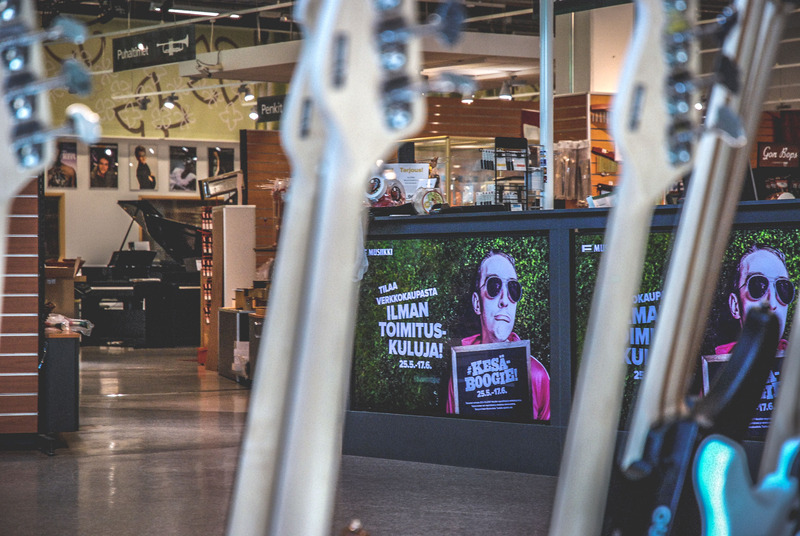 In F-Musiikki music store drums are rumbling, guitars playing, but you what you do not hear is the sound of a poster printer. 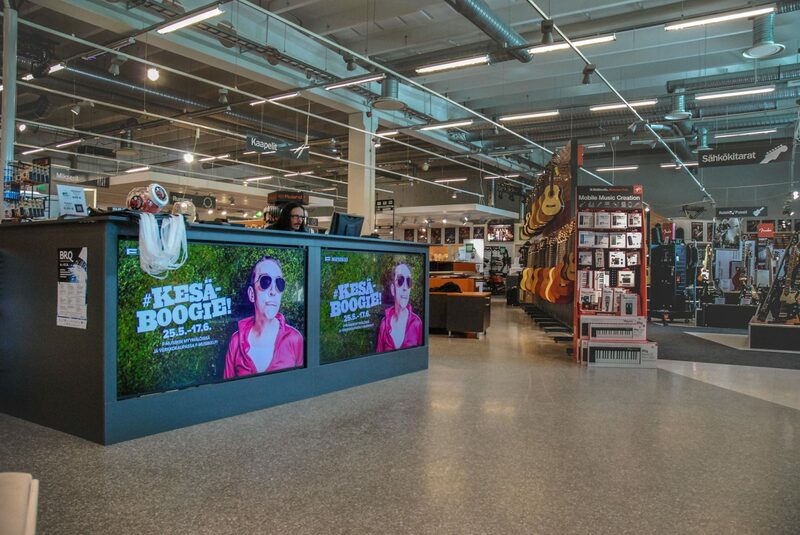 A year ago the music store chain entered the world of Digital Signage with no return. 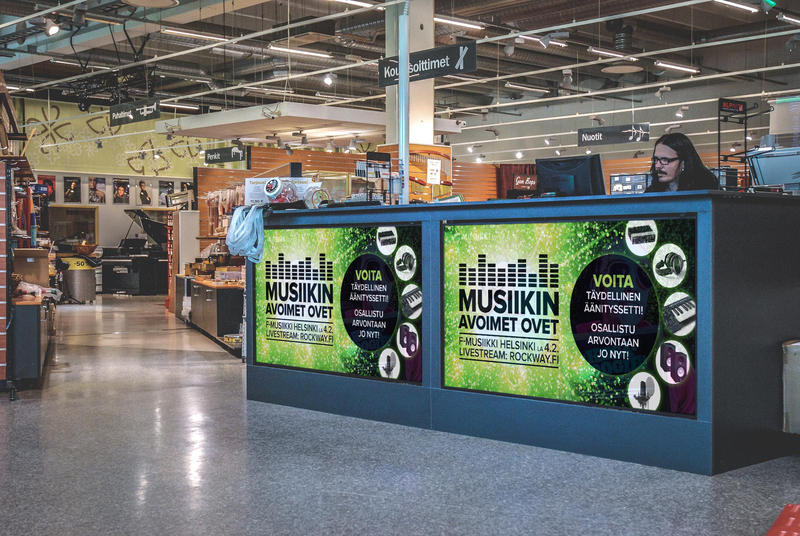 Information displays are used in stores all over Finland and they have become an essential part of their communication, especially in campaigns. Displays bring new life to stores and set the mood, which is appreciated both by the staff and customers. The cornerstone of music marketing, poster advertising, has been modernized with digital displays. “Displays are noticed and their content plays a major role in communication”, says Project Manager Sami Ahokas. 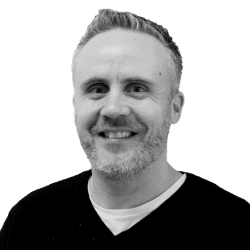 Our own graphic designer is responsible for creating content for the screens, and even though there is some ready material available, their own creations are often preferred. This way communication has a certain, unified look that fits the store perfectly. 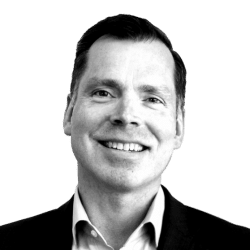 It has also been noted that the world embraces digital channels increasingly, which means there is more and more material available. Content on the displays is updated when needed and it can be done even on short notice. Displays work as a channel on their own but they can also support a wide range of campaigns. 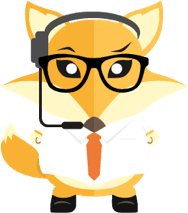 The clean user interface has become very familiar to them and they have been able to resolve all problems with the help of FirstView Wiki database and customer service. No time is wasted with printing posters – the message is delivered simply by a press of a button. The information displays are well integrated with F-Music’s operations. The chain also serves as a FirstView partner, offering Digital Signage as a turnkey service.